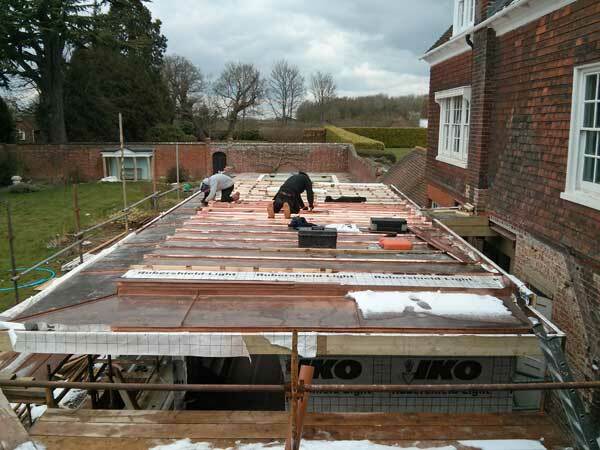 A combination of standing seams at the edge and Belgian batten roll on the main part of the roof of a new extension in Matfield Kent. 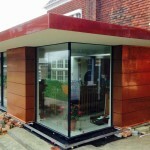 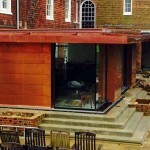 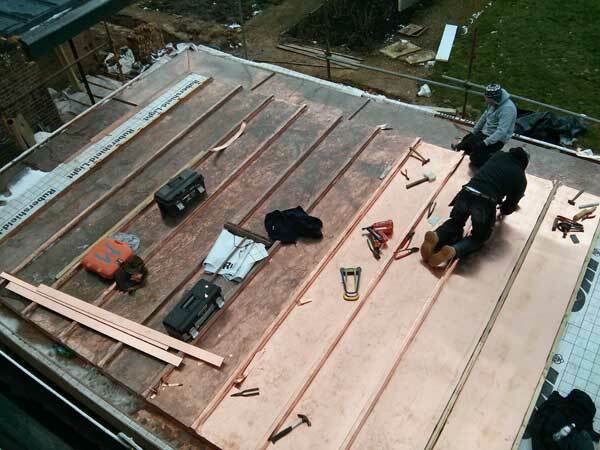 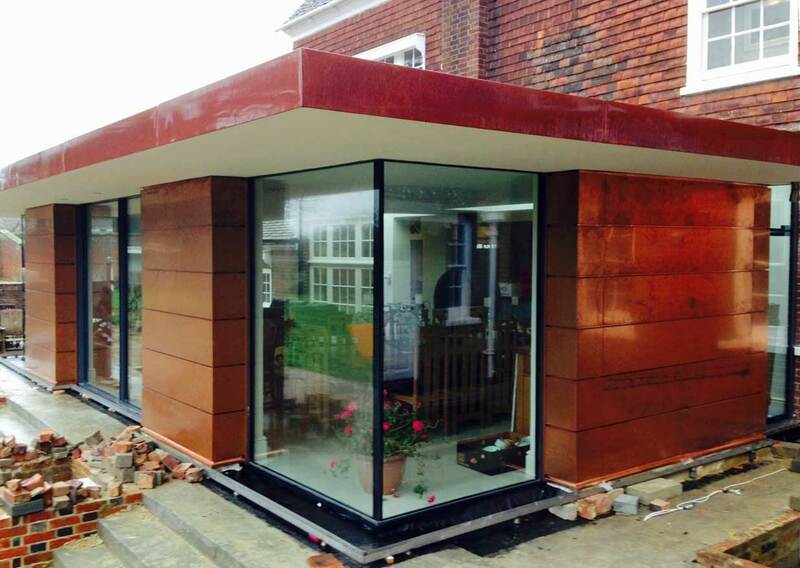 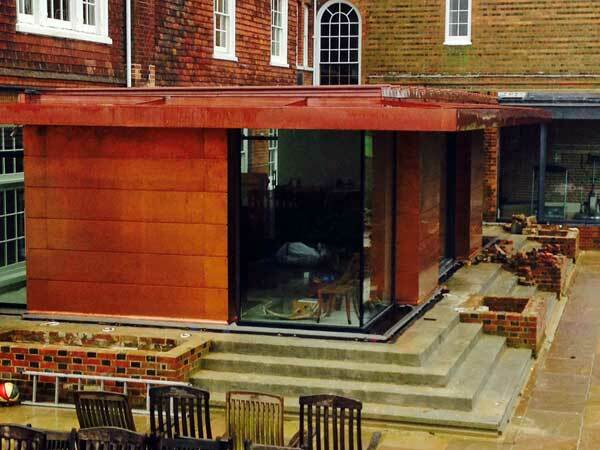 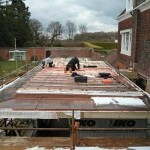 This project is completed with some copper interlocking panels on the walls. 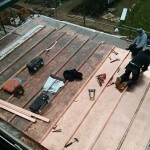 Here the copper is 1mm thick, compared with 0.6mm on the roof.